Healthcare consultants help facilities make sense of healthcare economics. It’s a $20 billion industry, but hospitals are facing tighter margins these days. These restrictions can make it tougher to provide high-quality healthcare services that yield improved patient outcomes. Healthcare consultants make achieving this goal easier, deploying their analytical skills to improve a facility’s financial health. Because it’s such a crucial role in the industry, the path to becoming a healthcare consultant is a multistep process. Completing this journey, however, can potentially lead to a fulfilling career. Healthcare consultants research and analyze finances to spot strengths and weaknesses in a facility’s economic strategies, from clinical infrastructure to operational metrics. Once a consultant has identified these strengths and weaknesses, he or she can propose solutions to streamline economic processes. The goal behind these solutions is to help a facility utilize its budget as efficiently as possible and achieve the desired endgame of providing high-quality healthcare that improves patient outcomes. Healthcare facilities sometimes hire healthcare consultants to provide analysis and suggestions from a third-party perspective. After a consultant has provided valuable insights, a facility may retain the consultant longer to help implement any suggested changes. Facilities may also bring consultants in to oversee a merger or acquisition and ensure a smooth transition. The journey toward becoming a healthcare consultant usually begins with earning a bachelor’s degree. such as an online bachelor’s in healthcare practice management. A bachelor’s in healthcare practice management allows students to hone the skills necessary to excel on the business side of the industry. Courses within the curriculum may emphasize deeper studies into these aspects, such as population health management, financial management within healthcare, and the role of technology and software in healthcare. Along the way, students can expand their knowledge of the healthcare industry’s inner workings and how it differs from other industries. The healthcare practice management curriculum commonly concludes with a capstone project or an immersive practicum program, which allows students to apply their knowledge in a tangible setting. Holders of a bachelor’s degree commonly pursue a master’s degree. This advanced education may be necessary in some cases, as some employers require candidates for a healthcare consultant position to hold at least a master’s degree. A master’s program, such as an online master’s in health administration (MHA), encourages students to dive deeper into the aspects of the business side of healthcare. The program typically allows students to concentrate on a specific aspect of healthcare administration, which could lead to a career as a specialized consultant. For instance, students could concentrate on courses devoted to data management, which could enable them to use data analytics to create efficient financial strategies. They may also dive into courses specializing in healthcare strategies, such as marketing and economics. One specialized concentration is providing care for the rapidly aging population, which is growing at an unprecedented rate. Most MHA programs typically take two to three years to complete. In some cases, this may include up to one year of supervised administrative experience in a healthcare consulting environment or in a hospital. The final steps toward a healthcare consultant career usually involve gaining key on-the-job experience. Many companies require prospective employees to have related work experience, in either an administrative or clinical capacity. This experience might be at least partially earned through the completion of an advanced degree program, which typically includes hands-on learning in a healthcare-related environment. Licensing and certification are not commonly required for health service management positions, such as healthcare consultant, but some candidates may choose to increase their hireability by pursuing licenses and certificates anyway. 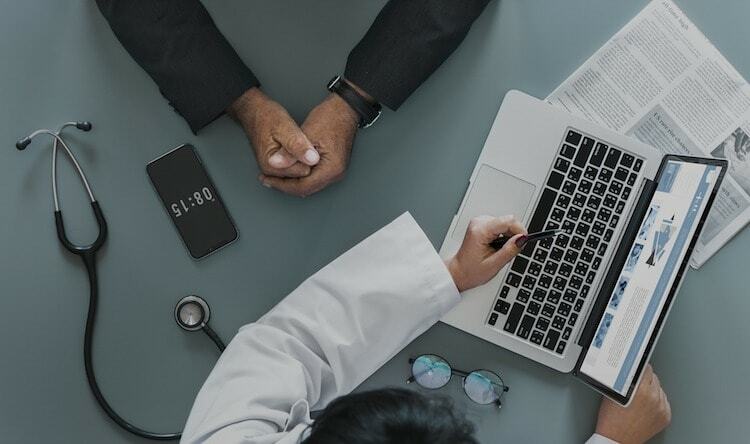 Organizations, such as the National Association of Healthcare Business Consultants, offer certification programs, although some may require membership and other prerequisites before allowing students to take certification exams. What Skills Does a Healthcare Consultant Need? Analytical skills: Healthcare consultants must have a strong capacity to research, analyze, and interpret data drawn from many sources within a healthcare facility. Doing so can allow them to make strong, informative decisions concerning a clinic’s financial efficiency. Attention to detail: Healthcare consultants often must work on multiple projects simultaneously. Therefore, it’s important that they remain organized and retain a sharp focus of a project’s tiniest aspects. One missing piece of information could make a consultant’s findings inaccurate, which could yield disastrous results. Communication skills: Because healthcare consultants are charged with improving economic efficiency within a healthcare facility, it is vital that they have the capacity to accurately relay the results of their analyses in a clear manner that leaves no room for second-guessing. Interpersonal skills: There may be times when facilities bring in healthcare consultants to handle delicate situations, such as staffing or administrative issues. Therefore, it’s imperative they have the capacity to interact with staff and other professionals in a manner that emphasizes decorum and mutual respect. Becoming a healthcare consultant comes with the potential to reap financial rewards. According to the U.S. Bureau of Labor Statistics (BLS), the 2017 median pay for those in the healthcare consulting role is about $98,000. Healthcare consultants are also in demand, and there are no signs that this will slow down soon. BLS projects 20-percent growth in the industry by 2026, which is a pace that’s much faster than the average industry. Becoming a healthcare consultant allows students to have a positive impact on a hospital’s ability to deliver high-quality healthcare. A healthcare consultant’s unique, business-focused perspective makes the role one of the most exciting in the industry. Learn how Maryville University’s online master’s in health administration can help provide students with the fundamentals needed to succeed in this intriguing field.